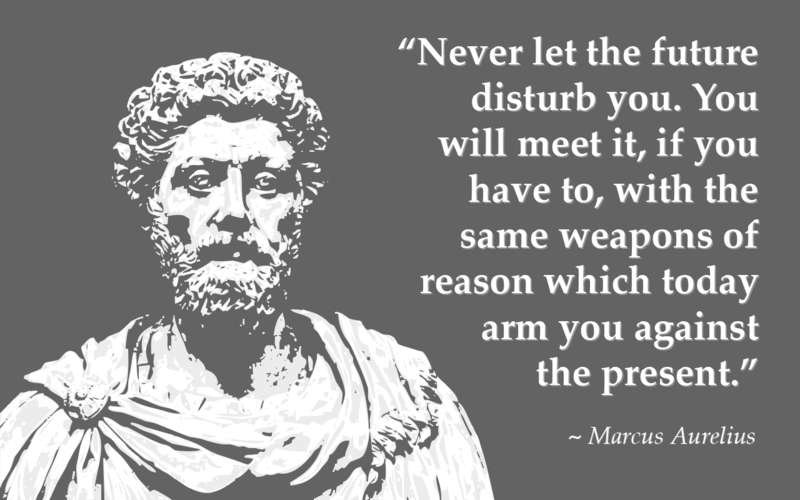 Marcus Aurelius is ALWAYS good for a quote to get you going. I saw this quote while checking out www.nietzschefamilycircus.com and yes, it’s exactly what you’d think – random Nietzsche quotes under random family circus panels. Check it. Anyway, I saw this quote and it spoke to me. 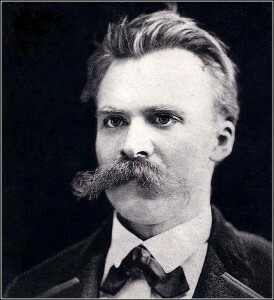 Or maybe it was the thought of Nietzsche’s mustache that made we dwell on it. On just One No-Shave-November, I want to see someone pull off this look. In Malcolm Gladwell’s book “Blink” he relays a story about a big problem the Miami Police Department was having some years back. Apparently they were getting into shoot outs at an alarming rate, especially when compared to similar cities. Theories abound: cops are racist (all of them? ), there are more criminals in Miami than most other cities due to Castro’s opening of the prisons (Scarface? ), or the high volume of drugs has something to do with it. After a lot of observation, it turns out Miami’s finest weren’t doing the basic things you’ve seen a cop do every time you’ve been pulled over. Stay back behind the window frame, lean in slowly to assess the car and occupants as possible threats, keeping a safe distance, etc… These didn’t seem like huge deals but they had the result of causing the number of altercations to escalate wildly. The measures of keeping distance and assessment were designed to maximize the amount of time Police had to make a decision. When they have little to no time, gut reactions to threats can lead to guns drawn and the same from suspects. The “fight or flight” response is no joke and it can completely bypass our rational brain. Telling cops to simply “be careful out there” isn’t going to work as well as telling them to do very specific things that will minimize the risk of a run-in that ends with guns drawn or worse. In the same vein, when we’re tired (see also: stressed, hot, angry, exhausted, hungry) we react poorly to things that we wouldn’t otherwise be bothered with. Think about your family vacations. Maybe you went to Disney and walked around for 10 hours in the heat and now you’re trying to decide where to have dinner and everyone wants something different. More often then not, those conversations don’t go over well. I feel ya, I’ve been there. Leave it to Nietzsche to sum up a clear path to happiness. Avoid being tired! Avoid being stressed! Easy, right? Of course that’s completely insane. You HAVE to be stressed at times. You HAVE to be tired at times, or you’re probably not trying hard enough at life. That’s ok. The answer for the Miami police wasn’t to quit pulling over cars – it was to give themselves a cushion of time. They made a rational decision before they were threatened to avoid feeling threatened, as much as easily done and reasonably possible. For example, I know in late July/August that I’m going to be dealing with “turn” and all the massive amounts of people moving in/out and this taxes my faculties more than any other time of the year. My brain is fried and when I finally get home, all I want to do is sit and stare without speaking for a few hours. Or pull a Herman Blume. My wife, who spends all day with our two and three year old boys, is eager for adult conversation by the time I finally arrive home though she knows I need a couple hours of quiet time to recharge my batteries. It is remarkable how rested I feel after spending an hour or so just letting my mind wander or doing a little light reading. Similarly, my wife loves to nap on the weekends in the afternoon so I take over kid duties exclusively for a few hours so she can be her best, rested self. These tiny adjustments do wonders to keep us out of those danger zones where tempers can easily flare. Slow things down. Take it a little easier. Plan on when you’ll eat, rest, relax when you can and you’ll likely be a lot easier to deal with. Everyone wants to be the best person they can, give yourself the buffer from exhaustion to make it easier to be that person. Also, read some Nietzsche Family Circus. That stuff is great for your brain.